Well, as shown by illustration above by Malaysia’s most famous cartoonist Datuk Mohammad Nor Khalid or better known as ‘Lat,’ this was exactly how the ‘tin Milo’ remark originated from. It was a very shoddy way of repairing cars but remember that this was in the ‘70s, and the concept of a full-fledged Body and Paint facility, integrated within a 3S centre was still new. How and why cars were repaired this way? I have little idea, but the older folks who lived through that era told me that was common practice back then. Probably because Milo tins were made from thicker gauge metal compared to Milkmaid brand tins? So when these shoddily repaired cars were involved in another fender bender and the paintwork was scratched, the word ‘Milo’ can sometimes be seen. Thus giving rise to the ‘kereta tin Milo’ remark. Since then, cars have come a long way. Contrary to popular opinion, Japanese cars are not any less safe than a German equivalent, especially cars from Honda, which has its own set of internal standards that are even more strict than Euro NCAP’s or US IIHS’s requirements. When the United States’s IIHS introduced the very demanding small frontal overlap collision test in 2012, two of the top three safest cars were Japanese (Honda’s Acura and Nissan’s Infiniti). At the top was of course Sweden’s Volvo. All German brands including Mercedes-Benz, BMW and Audi were rated either ‘Poor’ or just ‘Marginal,’ before rushing out new updates in the following year. At the last round of testing by Australia’s ANCAP, Mazda outperformed Audi. Similar to the progress made by Japanese brands, Proton too needs to shake off the ‘kereta tin milo’ stigma. Despite the fact of all its latest generation models – the Preve, Suprima S and Iriz – received best in-class five-star NCAP safety rating, the perception of a shoddy Proton is difficult to shake off. 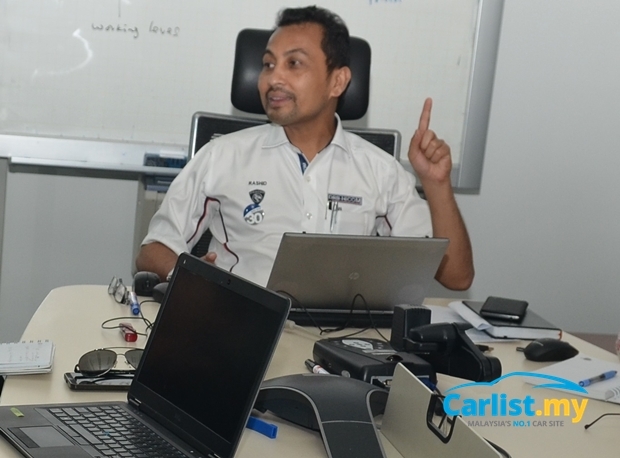 In conjunction with Proton’s 30th anniversary, Proton invited Carlist.my to have a chat with its Chief Technical Officer En. Abdul Rashid Musa, a very driven man who has taken the task of improving the safety standard of Malaysian cars unto himself. While En. Rashid’s job encompasses a wide area, including electronics, powertrain and chassis control, safety remains his favourite topic of interest, as he sees it as a way for him to contribute to a better society for everyone. “Safety encompasses many aspects, covering not just the vehicle but also road design and more importantly, the attitude of the driver. I can give someone a five-star but if that someone is a reckless driver, then it’s pointless. As a car manufacturer, we only have control over the aspect of the vehicle itself so this is the area that I spend a lot of time in,” said Rashid. Again, contrary to popular opinion, Proton is not oblivious to the challenges of the global car market. Proton is very well aware that if it wants to grow further, it needs to move beyond Malaysia’s small domestic market, and export to bigger developed markets but to do so, it would have to meet many stringent safety and exhaust emission standards there, especially those in Europe. 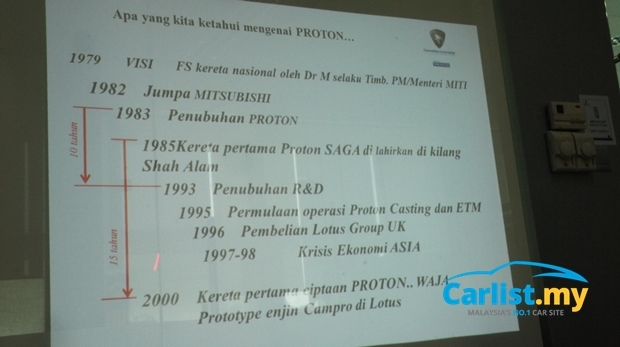 At the same time, Rashid has to contend that he has only 800 staffs in his R&D team, one of the smallest in the global car industry, so Proton has to be very selective in what it chooses to work on. “Volkswagen has over 20,000 engineers, with over 8,000 working on powertrain alone, even Suzuki and China’s Geely has over 5,000 engineers,” lamented Rashid, who then went on to explain that this is why it highly imperative for Proton to collaborate with other car makers. Rashid also revealed that he had recently paid a visit to Volvo Car’s headquarters in Gothenburg, Sweden recently with Proton’s Chairman Tun Dr. Mahathir, but declined to say anything more about that. Considering the small team that he has, Rashid is especially proud of his team’s work on the Preve, Suprima S, and Iriz, which he reckons is comparable to an Audi or a BMW. Holding us right at the moment before we start laughing at him, Rashid pulled out a slide tabling the crash test results from Australia’s ANCAP. Rashid proudly pointed out that the Proton Preve scored 34.25 points, just 0.20 points behind an Audi A4, and it was well ahead of Korea’s Hyundai Elantra and Kia Forte, Japan’s Mitsubishi Lancer and Toyota Corolla, and Europe’s Ford Focus. Of course, many of these models were older than the Preve and did not benefit from the latest development work that these competitor brands are capable of, but it doesn’t take away the fact that Proton can now stand proudly, even when pit against established premium brands like Audi. 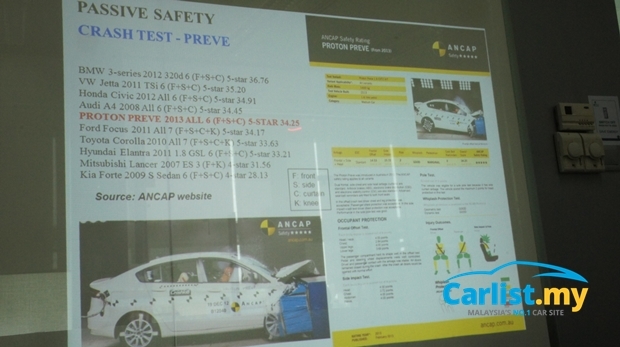 Rashid also pointed out that Proton is aware that many NCAP organisations including Euro NCAP and ANCAP are raising the bar for the maximum five-star rating. 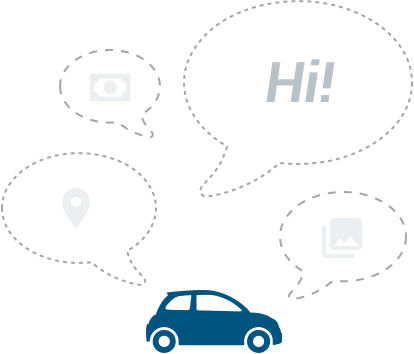 Starting 2014, fitment of Advanced Driving Assistance System (ADAS) features like autonomous emergency braking, lane departure warning and speed limit warning are now compulsory for a five-star rating from Euro NCAP and ANCAP. Rashid revealed that the next generation of Proton models are already being designed to accommodate such features. But as these features are likely to cost more, its availability is subject to market demand. In other words, if consumers are willing to pay for it, they will be made available. 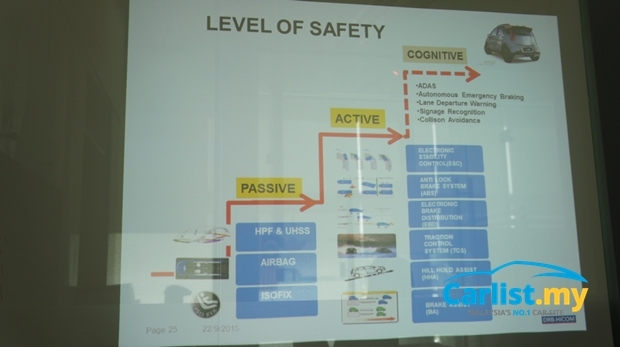 “We call it ‘design lock,’” Rashid explained about Proton’s terminology for anticipating potential future requirements. “Take the Iriz for example, it is designed to accommodate not just an internal combustion engine (ICE), but also a hybrid or a full-electric powertrains. Our ‘design lock’ has already ensured that should there be a requirement, the Iriz can accommodate electric motors or other hybrid components.  It just a question of whether is there a demand from the market for that particular feature or not,” said Rashid. 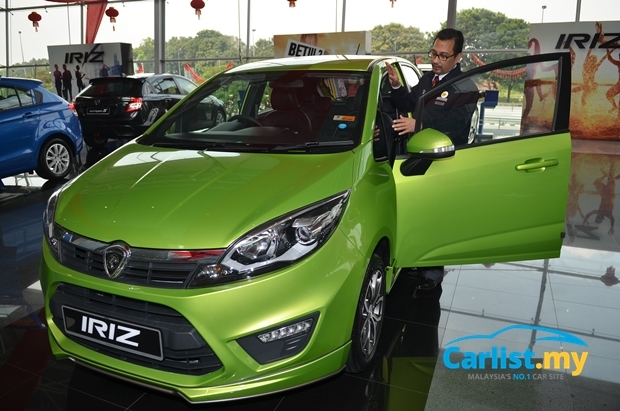 Rashid is keen to highlight the fact that the Proton Iriz is the most affordable five-star rated car in ASEAN. The Iriz starts from just RM41,553, with the all-important electronic stability control (ESC) available as standard, as opposed to the industry’s common practice of keeping the crucial life-saving feature only for the more expensive variants. ESC however, does not come cheap. “We make safety affordable. We are not saying it is cheap, but we are saying safety is affordable,” said Rashid. When asked about the cost of ESC, Rashid explains that while it is true that cost of ESC’s hardware has been dropping, to just several hundred US Dollars, the hardware needs to be linked to several other supporting electronic modules installed on the steering rack, engine, transmission, brakes, chassis, so the total cost of the system adds up to several thousand US Dollars. 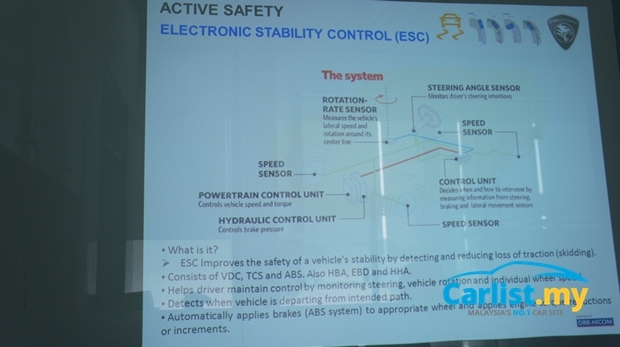 Rashid also explains that a lot of manhours were spent calibrating the ESC system for each car, and individual calibration is required even for different variants of the same car. “The weight of the vehicle is different, so we cannot have the same setting for Preve and Suprima S. Even from one variant to another, there could be a difference. Some variants without ESC for example, might not come fitted with the necessary electronic control modules so it is not just as simple as installing an additional hardware to the car,” said Rashid, adding that the calibration job is even more complicated if the engines are different as that would mean that the engine computers are also different, a CFE and a CamPro IAFM engine for example. “We are putting a priority on safety, this is not something that we can trade off with money,” he added. Rather on focusing on making cheap cars, Rashid explains that in order for Proton to progress, it needs to get out of the ‘cheap car’ trap, because in due time, cars from China will be coming in and Rashid is very aware of the threat posed by low-priced Chinese brands. Offering low priced cars is not necessary the right way to go. 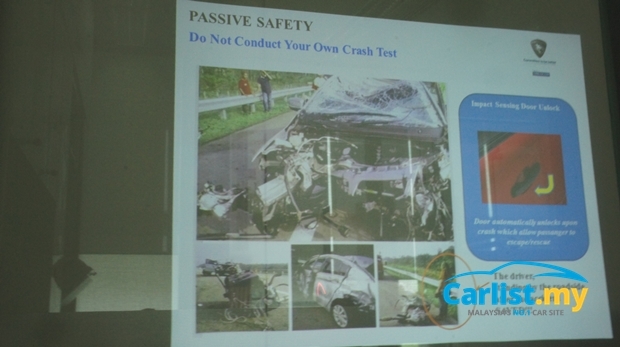 Rashid explained that Proton for one, will not go down the route of brands like Nissan's Datsun, which took advantage of lax safety regulations in developing markets and sell cars that do not meet the latest UN regulations on vehicle safety. He also brought the example of the Tata Nano, which was not successful despite its very low price. 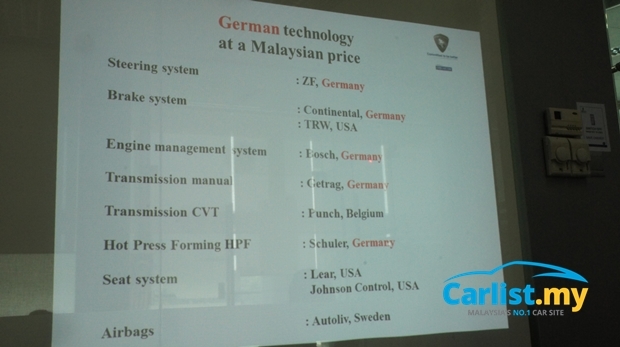 He also highlighted that underneath a Proton is a wide array of German-developed technologies, and that many key components are made by well-established companies with a strong record for quality and safety. “No Takata airbags in our cars,” he said with a grin. “My analogy about the Proton brand, is like a Bata shoe. If a Bata shoe is not good, it cannot become a shoe for school children, because school children are very robust with their shoes – they climb trees, play football, jump into a pool, and yet nobody will buy a Bata shoe for RM100. But consumers won’t blink an eye if they have to pay RM300 for a Nike or an Adidas. So similarly like Proton, we have this ‘Bata shoe syndrome.’ So although we have so many features in the car, people still want it to be cheap so we can’t sell the car at a higher price. As I have shown to you earlier, you can see for yourself the safety performance of a Proton, and its comparable to a BMW, but that’s a RM300,000 car,” said Rashid. “Plus, we are coming from a developing country. 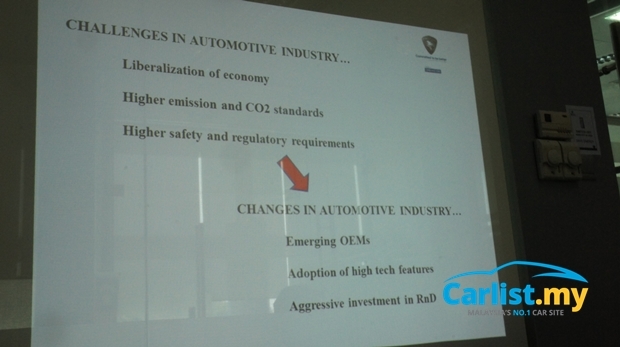 This (automotive industry) is a developed country’s industry, so there is a gap in trust there. So this is a hurdle we have to face but more importantly, we need to communicate effectively with consumers,” added Rashid. 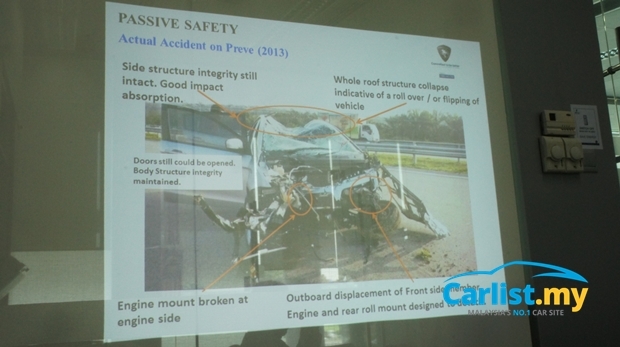 The two slides above showed how the safety features in the Proton Preve protected the driver of this Preve, which rolled several times. The lady pictured standing in the lower right side of the slide, was the driver. She walked out unscatched, with a not a single injury on her. Rashid proudly tells us that she has since replaced her Preve with another Preve. “We know that we are not a luxury brand, but we want to make our cars affordable, offering good value for money (as opposed to simply making a cheap car),” said Rashid. Rashid is currently busy working on a new generation of Proton cars that he is very excited to introduce them to the market, but for now he has to be coy about the details. In between his presentation, we briefly caught sight of a presentation slide that listed the three all-new models – Proton Perdana, Proton Persona and Proton Saga. We will certainly be looking forward to these three all-new models from Proton. As someone who appreciates cars not just for their horsepower value but also for their cultural significance, he is interested in the art of manufacturing and selling cars just as much as driving them. Prior to swapping spread sheets for a word processor, he spent his previous life in product planning and market research.